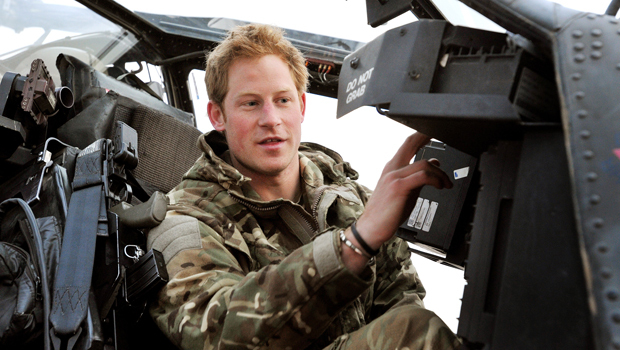 Prince Harry, on his way home to England from Afghanistan, said he killed Taliban insurgents on his latest tour. According to the Press Association's pool report, the 28-year-old British royal said he took enemy fighters "out of the game" during his 20-week posting. "Yea, so lots of people have," he said when asked if he had killed anyone from working as a gunner inn Apache attack helicopters. "The squadron's been out here. Everyone's fired a certain amount." Harry, known as Captain Wales in the British Army, handled deadly rockets, missiles and a 30mm cannon. He supported allied troops and accompanied British chinook and U.S. Black Hawk helicopters during casualty evacuation (CASEVAC) missions over Helmand Province in southern Afghanistan, according to the Press Association. "Take a life to save a life," the prince said. "That's what we revolve around, I suppose." Harry said he was treated like "one of the guys" in the army, serving in the 662 Squadron, 3 Regiment Army Air Corps. Although his deployment in Afghanistan -- his second so far -- allowed him to step back from the public eye, he said his father, the Prince of Wales, is always reminding him of his birthright. Colleagues and superiors commended Prince Harry for how well he fit into his unit and for being "on top of his game" during and "extremely busy" and dangerous tour. Harry also commented on the news that his sister-in-law, Duchess of Cambridge Kate Middleton, was expecting her first child. He said he was "thrilled" for the duchess and his brother, Prince William, and "can't wait to be an uncle."